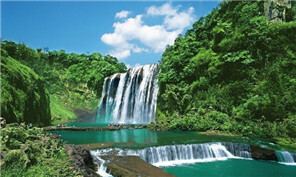 Guizhou will open its first industrial zone for provincial-level human resource services on March 25. According to local authorities, the purpose of the industrial zone is to meet the growing need for more efficiently organized human resource sectors in Guizhou and to provide solutions to the problems facing its talent-hunting service industries. Statistics show that at the end of 2016, there were over 600 human resource organizations and 186 human resource websites in Guizhou, as well as 310 long-term locations for employment inquiry and consultation, bringing the total industrial revenue to 1.26 billion yuan ($199 million). However, Guizhou's HR service industry is still marred with scattered and unorganized service patterns, inefficient and low quality service, and lack of diversity in the service chain, according to an official from the Guizhou employment service bureau. The industrial zone is designed to concentrate public service institutions and human resource service companies in one location, improving cooperation and integration among them in order to establish a more organized, interactive and convenient platform for corporations in need of high-profile talents. The new HR service industrial zone hopes to attract more than 10 prestigious domestic and international HR service institutions in 2020, and also to make use of various favorable policies to nurture 50 local HR service entities. With the help of the HR service industrial zone, Guizhou will propel the local HR service sector to further integrate with internet technology and the local finance industry. The province has resolved to build an all-in-one service platform incorporating the internet, talent resources and HR services.